Before working with a contractor, you should first check your local building codes, especially with regards to the number of allowed layers of shingles on a roof (since you can re-roof without having to pull out your old shingles) as well as the materials to be used. You must then secure the necessary permits– remember that you may have to bring documentation like proof of property ownership and a permit application worksheet. Next, you’ll have to hire the right contractors who can efficiently do your re-roofing for you– look into companies like Shelton Roofing, who have men with enough experience and the right skill set for the job. To identify the competence of a prospective contractor, look into their website and check any client reviews they might have. You can also ask around the area for anyone they might have previously worked with. 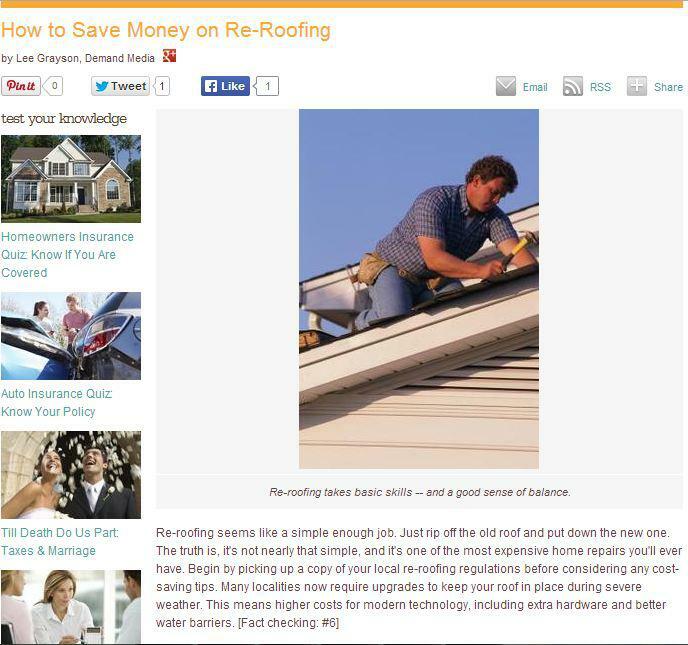 Always save on costs whenever you can; if there are roof materials that are still in excellent condition─ like some of the flashing ─ reuse them instead of paying for brand new ones. You can also choose to do some of the work yourself to save up on labor, like reinstalling gutters or some trim work; if you don’t have the training or skills to do this though, just ask for professional help. Your roof is one of the most important parts of your home when it comes to protection against the weather, so you should see to it that it’s in good working condition throughout the year. When it does get damaged, don’t forget to call on the services of reputable Palo Alto roofing companies for help.